Ready for an energetic, lively keynote or breakout session speaker? Inquire about having Phylecia present for your group or event! She spoke at our event in the UK recently and was, from the feedback received, by far the standout presenter and the person that people took the most from. On top of that she is great to be around and hugely professional till the last. I am genuinely pleased we secured her for our event and I hope we are able to do so again soon. Talk it Out Tuesday with CRConversation: What the Hell Do You Sell? March 2015 – Northern Commerce City Business Owners Group, Commerce City, CO.
During a 5-year span of getting rid of $25,000+ in debt, managing to increase a net worth to over $500,000 and leaving a 6-figure salaried job to start a business, Phylecia Jones realized that that millionaire status does not happen overnight! With a Bachelor’s in Computer Science and a Master’s in Systems Engineering, Phylecia proudly served 13 years as a civilian Computer Scientist for the US Navy and Department of Defense, supporting sailors and soldiers across the world, but realized that it was not enough. At the age of 36 years old, she took an early retirement and started a journey that would forever change her life… entrepreneurship. 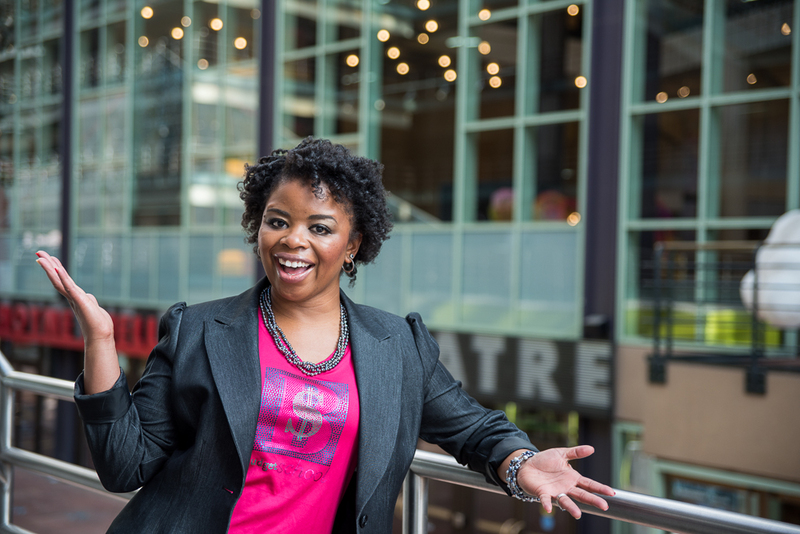 As the CEO of Keep up with Mrs. Jones LLC, Creator of Budget School, a premier business financial education platform, and Host of the Budget School Podcast, Phylecia is the savvy go-to budgeting nerd, speaker, and trainer. She thrives on changing the world one budget at-a-time and is opening the door for many solo entrepreneur coaches and consultants to have that must needed wake-up call to get serious about managing money and knowing their numbers. Because working hard with no play is just silly, Phylecia is an avid traveler and loves exploring the world with her video game developer husband. They live the DINK (dual-income-no-kids) life with a very happy Border Terrier and a skittish Manx kitty in Colorado. Their current budget goal… sailing a 42-foot catamaran in the Caribbean! Managing that thin line of business and personal finances is the very big elephant in the room for many entrepreneurs. Budgetologist, Phylecia Jones draws from her own journey of managing money and from the many obstacles she has witnessed with clients to address the core principles it takes to stop sucking at budgeting! Phylecia breakdowns the phases it takes to have a big wake up call with money management and delivers a powerful action plan to get started immediately with a successful business budget and spending plan. Becoming an authority is the number one way to getting clients and having a successful business. But with most solopreneurs, limited funds and the constant fear of increasing financial debt is a major challenge when it comes to jump starting business and building a brand. In this talk, Budgetologist Phylecia Jones takes a page from her own success in building lasting authority and breaks down one of the most effective marketing methods available to solopreneurs… speaking! Phylecia delivers on hacking social media to find speaking gigs to seamlessly converting clients… all while on a $0 budget. With tons of networking on the books and very few booked clients, Phylecia walked in the door from a long day of being a business owner to her husband asking, “Did you get paid today?” At that moment, Phylecia finally understood that the journey of being an entrepreneur is not an easy one and filled with a lot of “ah-ha” moments. From realizing she was a long way from her roots in Alabama to the sunny beaches of California to the world of entrepreneurship, having tech degrees and book smarts, did not prepare her for the lessons learned about money, what motivation really means, and knowing that the blue-print of life can be changed at any time. The major theme of this talk is centered around opportunity lost and opportunity found all from an unlikely source… money. Phylecia dives into heartfelt storytelling to take the audience on a journey of fear, missed moments, and finding the confidence to live the life she was meant to live. Phylecia has a special charm in the way she speaks. She is able to engage the audience while staying light and comfortable. She is able to get the group to respond to her questions and you can tell they are interested in what she is saying. She is thorough with her information, but also connects with the audience quickly and able to hold their attention by making them laugh and really think! Not an easy task for a speaker especially when talking about money. Phylecia's passion comes through as she uniquely stirs an audience to greater engagement and renewed commitment to get the numbers lined up so greater heights can be achieved. As the CEO of Keep Up with Mrs. Jones LLC, Creator of Budget School, a premier business financial education platform, and Host of the daily morning show Ask the Budgetologist, Phylecia Jones is the savvy go-to budgeting nerd, international speaker, and trainer. 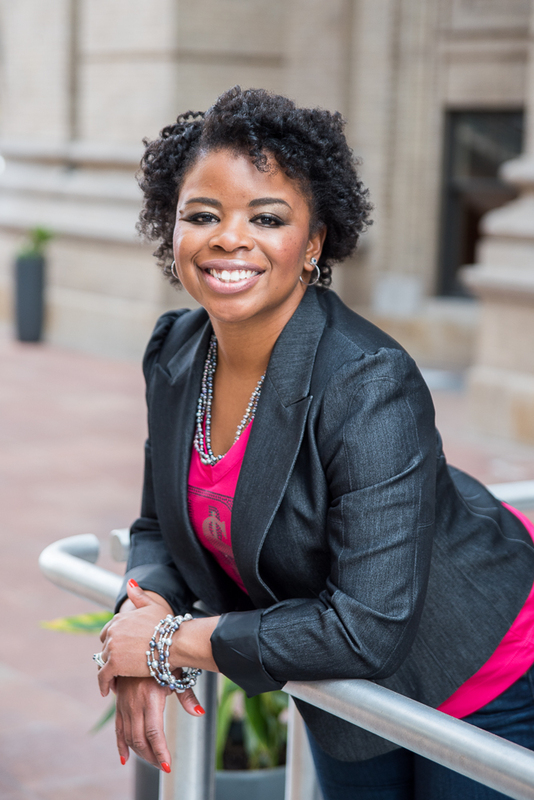 After serving as a civilian Scientist and Engineer for the US Navy, Phylecia launched her skills into changing the world one budget-at-a-time and is now opening the door for many solo entrepreneur coaches and consultants to have that must needed wake-up call to get serious about managing money. Since being a money nerd is not enough, Phylecia's life has included traveling the world, being a professional cheerleader, 100hrs towards being a yacht captain… and achieving an eclectic list of random cool things! Stop booking boring money experts that will have your audience tuning out and checking email! With humorous stories around money and solopreneurship, audiences not only get entertained, but walk away with knowing that the word ‘Budget's is the best thing to happen to their vocabulary and having a powerful shift in money mindset.